I normally don’t get hung over when traveling, I don’t know why but seems to work whenever I’m abroad. Yesterday I relied on this a bit too much and partied a bit too hard with some friends from the hostel. 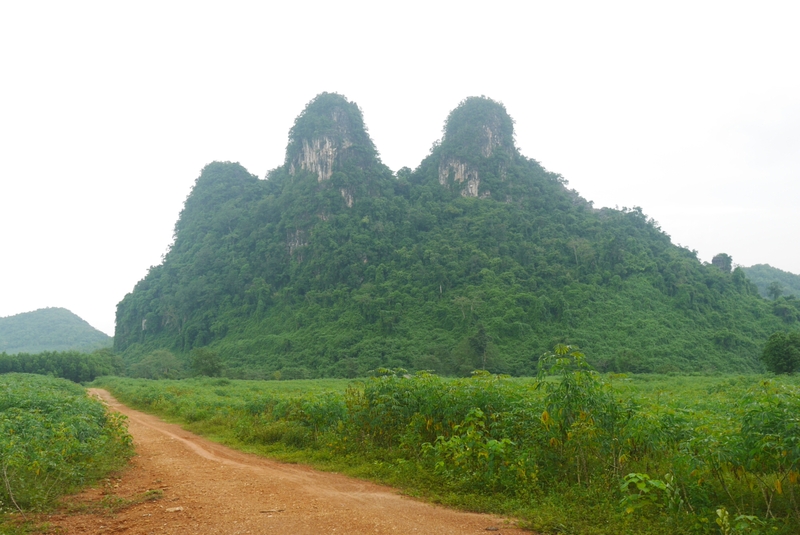 I had planned to take the bike and just ride around in the national park but when I woke up I was in no state to ride a motorbike. 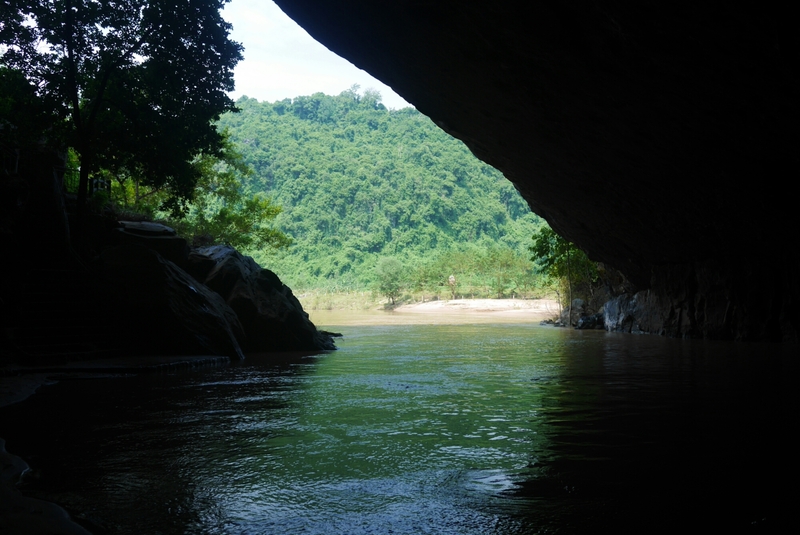 So, I skipped that and joined another cave tour instead. 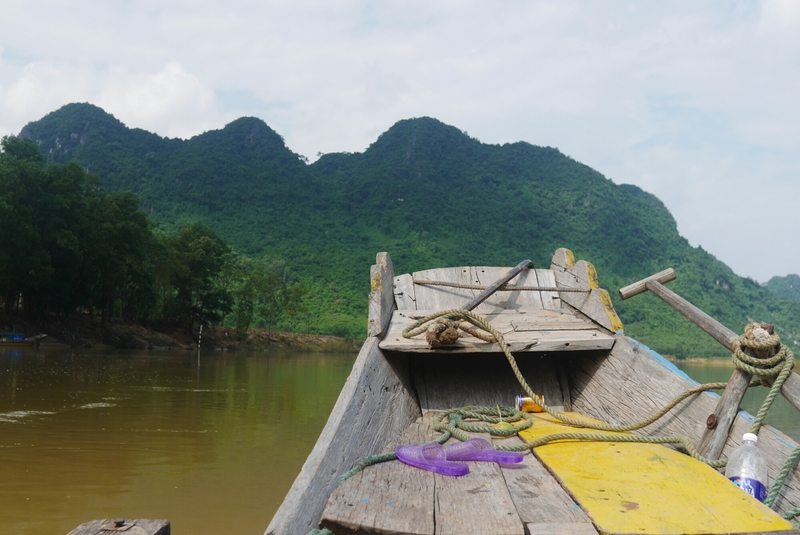 The Phong Nha cave is up the river from the village so the tour starts with a 45 minute boat ride through the rural landscape. 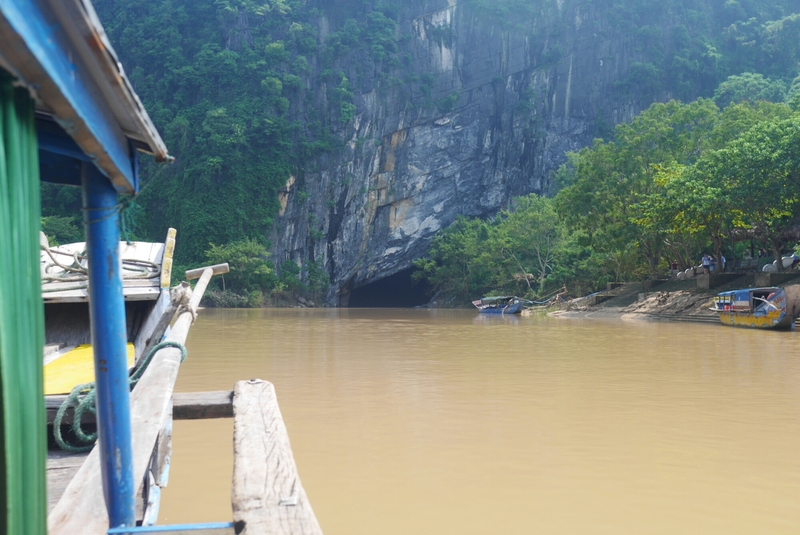 In the dry season the boats also go inside the cave but now the water was too high so we had to walk. 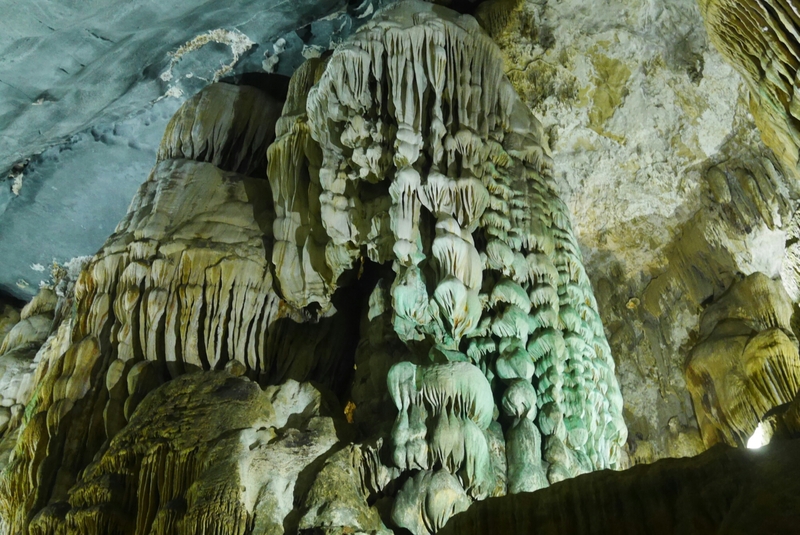 The cave is fairly similar to Paradise cave with lots of stalagmites and stalagtites and it’s lit up by electric lights. 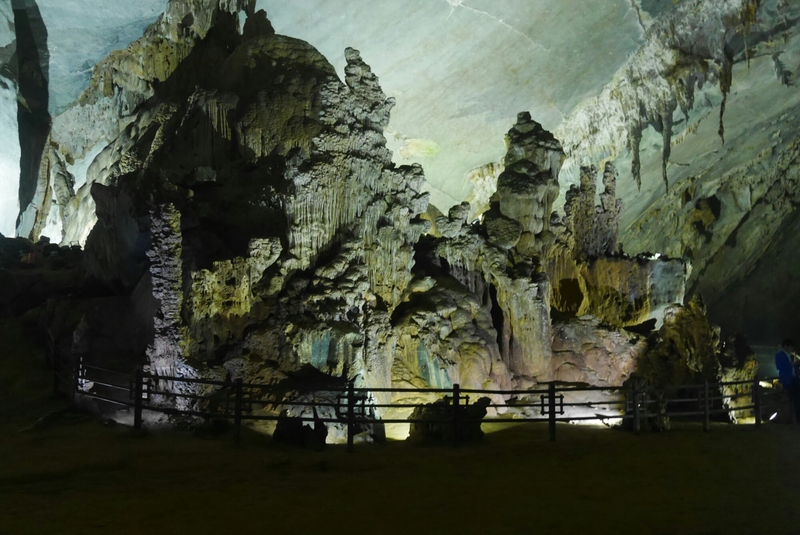 It’s pretty nice but in my opinion Paradise cave is more impressive. 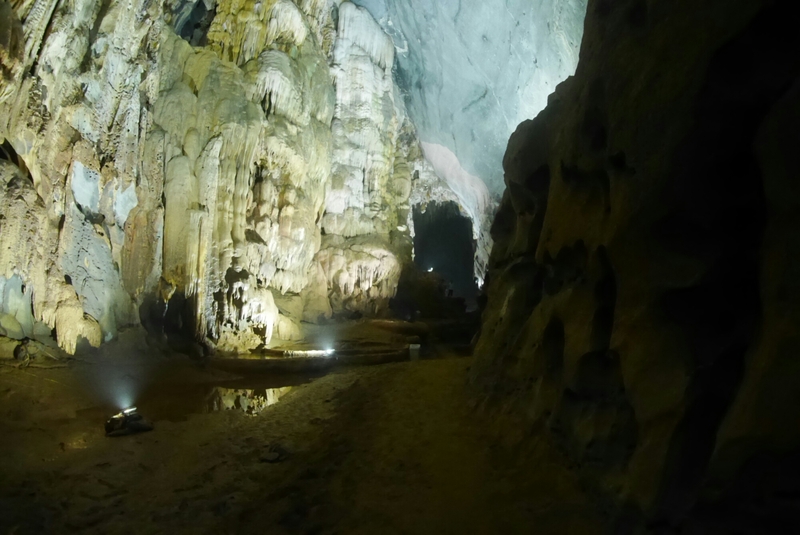 If you only have time for one cave in Phong Nha, go to Paradise cave. 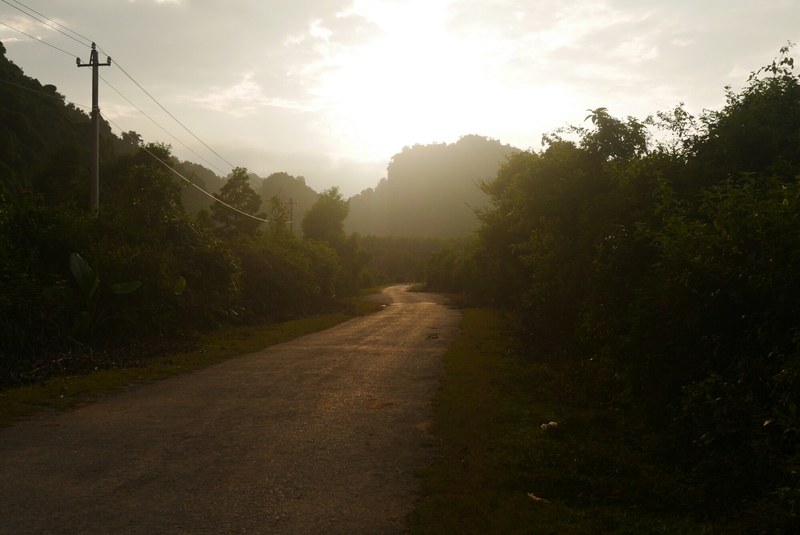 When I came back from the caves I was still feeling pretty bad, so I just relaxed at the hostel for a while. When I was feeling better I just couldn’t resist to take the bike out for a short tour just to see something more. 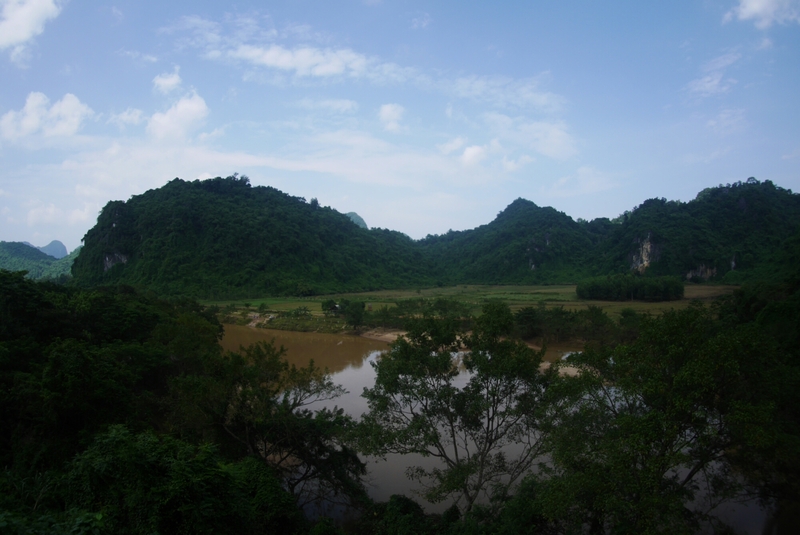 The landscape on Phong Nha national park is truly spectacular, it’s a real shame I ruined my chance to see more of it by getting too drunk. 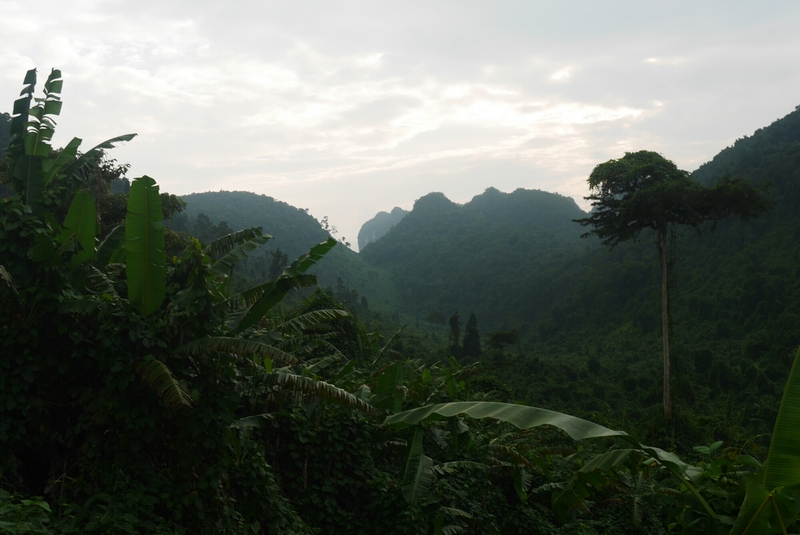 When I was planning this trip, the wife and I decided we should meet up in Hanoi and see some places together. Using a very rough estimate I figured it would take me about two weeks to reach Hano, so we set our meet up date accordingly. 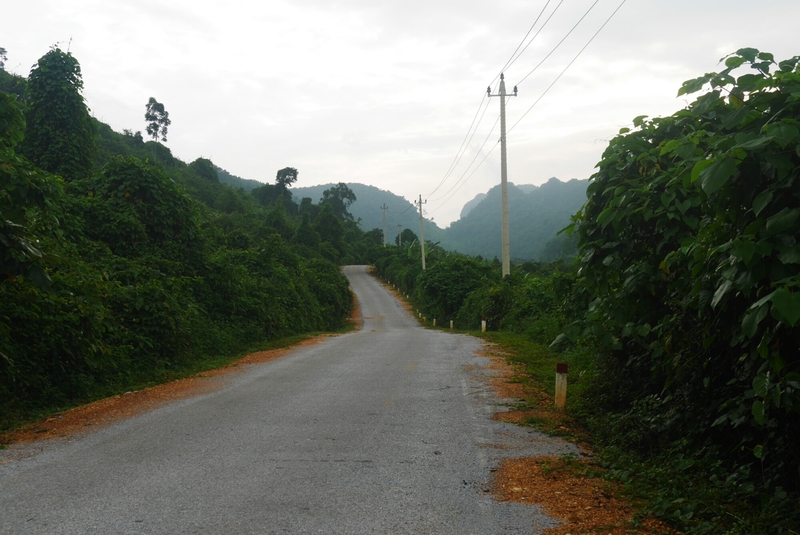 Because I stayed a bit longer in Hoi an, Hue and Phong Nha I’ve run out of time and won’t be able to ride all the way. 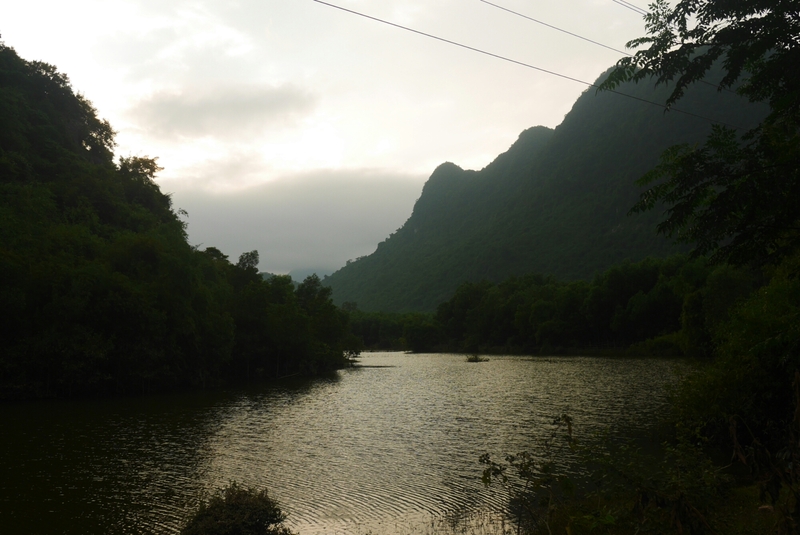 So, I put my motorbike on the nightbus directly from Phong Nha to Hanoi. I guess you can say I’m cheating but that’s what happens when you don’t make plans for more than a few days. It’s a shame I can’t ride all the way but this kind of thing is also part of the experience. Looks and sounds fantastic – thanks for sharing! It is, just skip the hangover if you go there, it’s not worth it.